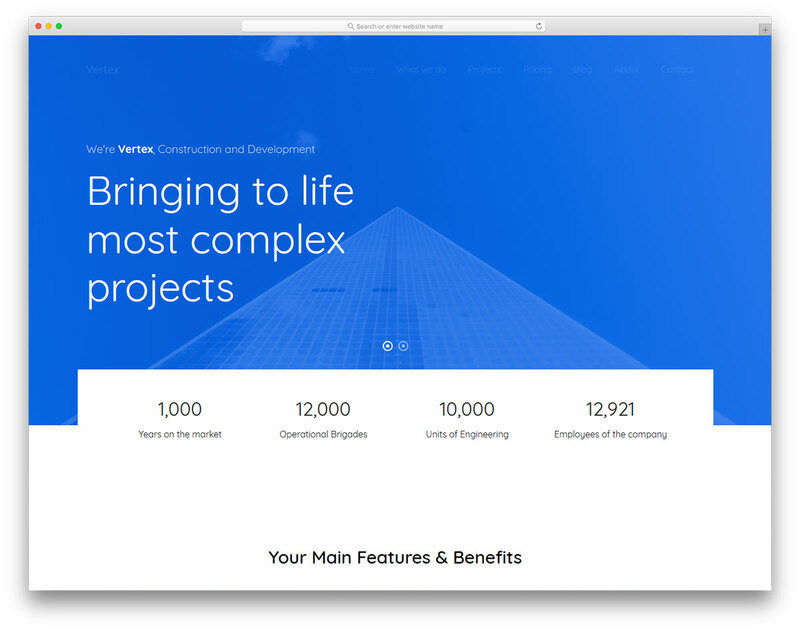 One of the best free HTML construction website templates available for private and commercial use that are currently on the market. Based on Bootstrap 4, all templates are mobile friendly and feature a clean and modern design. Let it be a construction, industrial, building, architecture or any other page within the industry, these tools take care of your web presence. Whatever you do, craft a site for your flourishing business and grow exponentially. 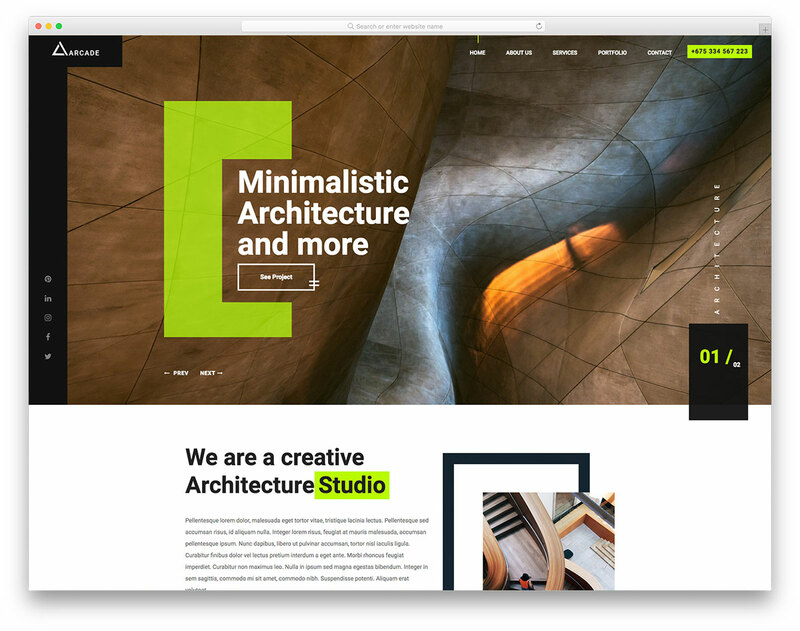 Showcase your extraordinary projects with a stunning portfolio, introduce testimonials to build customer trust and even start a blog. All layouts are of the highest standards to impress your page visitors and turn them into loyal clients. 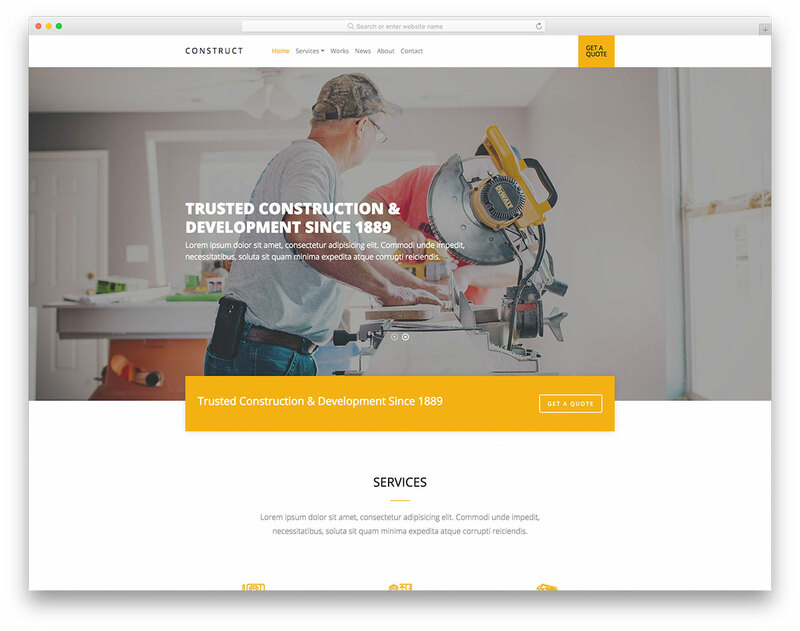 Your new favorite construction business website templates also come with a working contact form, so expect new project deals delivered straight to your inboxes. 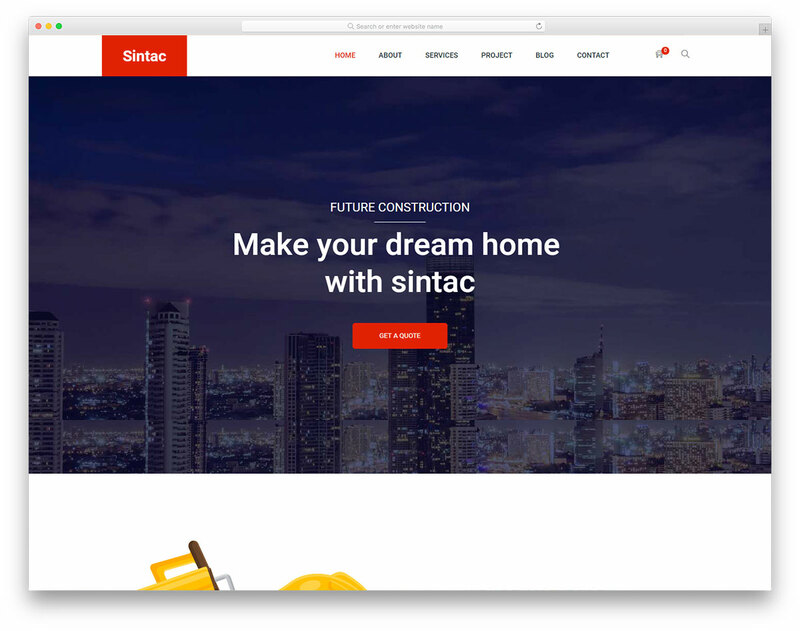 Sintec is a wonderful and easy to use free building company website template. Thanks to its versatility and high adaptability, you can also use Sintec with all sorts of construction and architect projects. 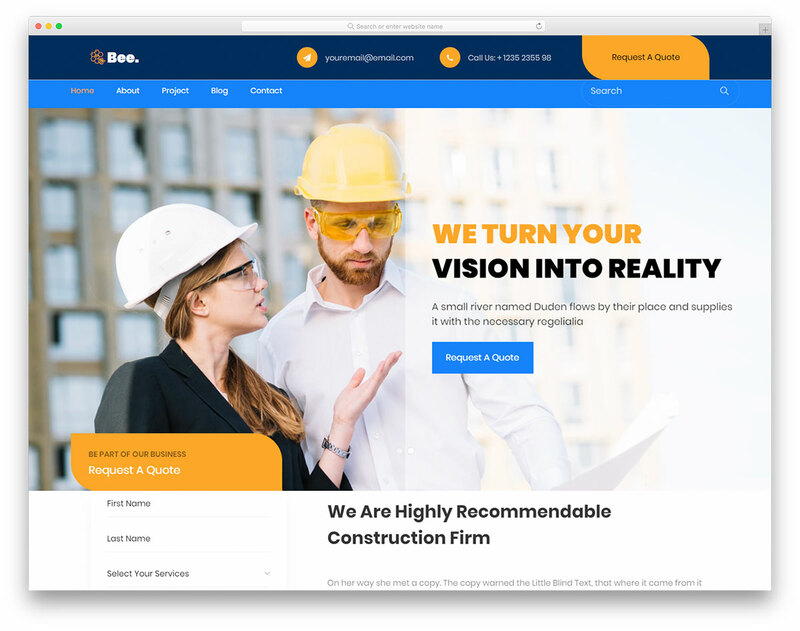 Bring your firm online as quickly as possible or redesign your existing page and impress all your current clients with Vertex free responsive construction website template. 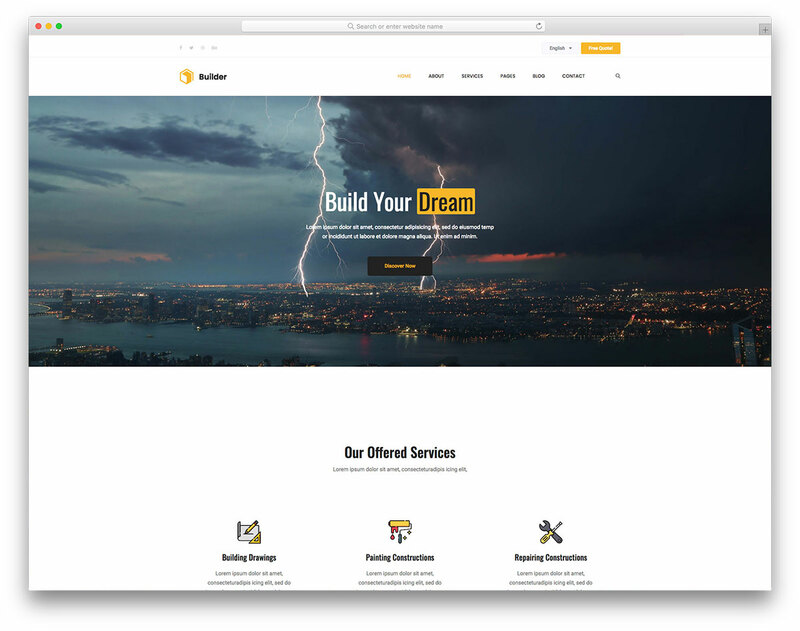 Those who run a construction or building company, make sure you sort things out with Webuilder free building company website template. Do it in style and get loads more new project deals. 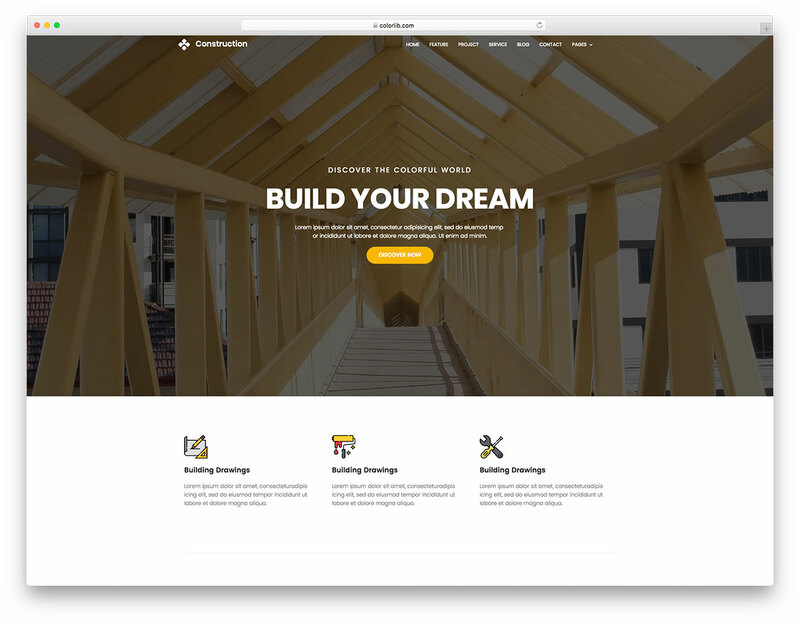 Builder is a free building website template for everyone looking for a professional web design for their construction companies' pages. It makes your web space special and one-of-a-kind. 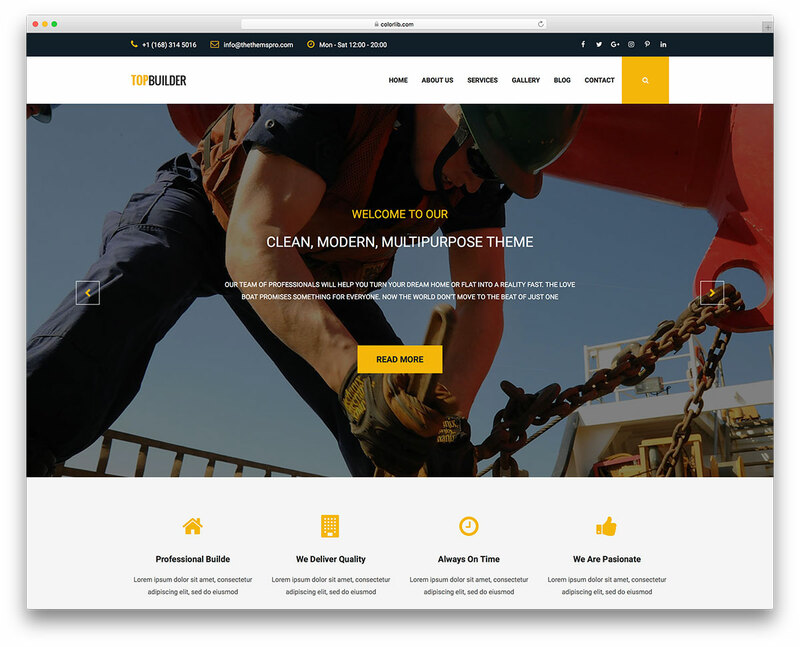 Outstanding free construction company website template, Complex, is a pure web design art. Start closing the biggest deals and provide your services on a larger scale, thanks to a professional website. 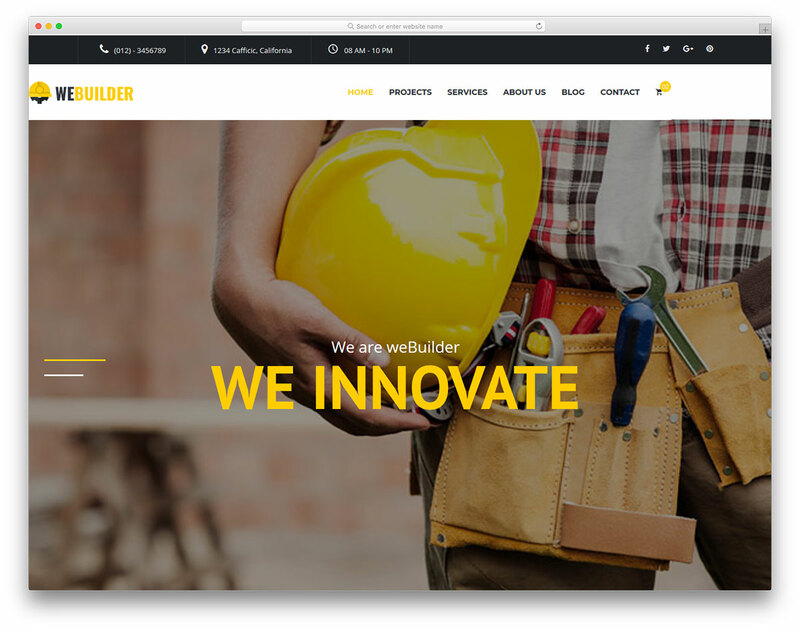 TOPBuilder is a construction company website template that sports a premium look, feel and functionality. 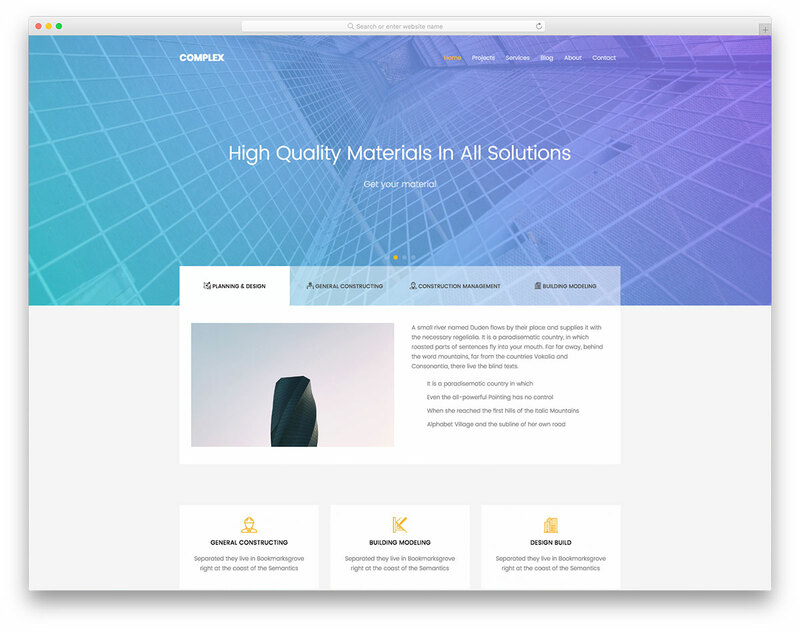 It is a very versatile free HTML template with several well-designed pages and sections that you can use and re-use on your website. 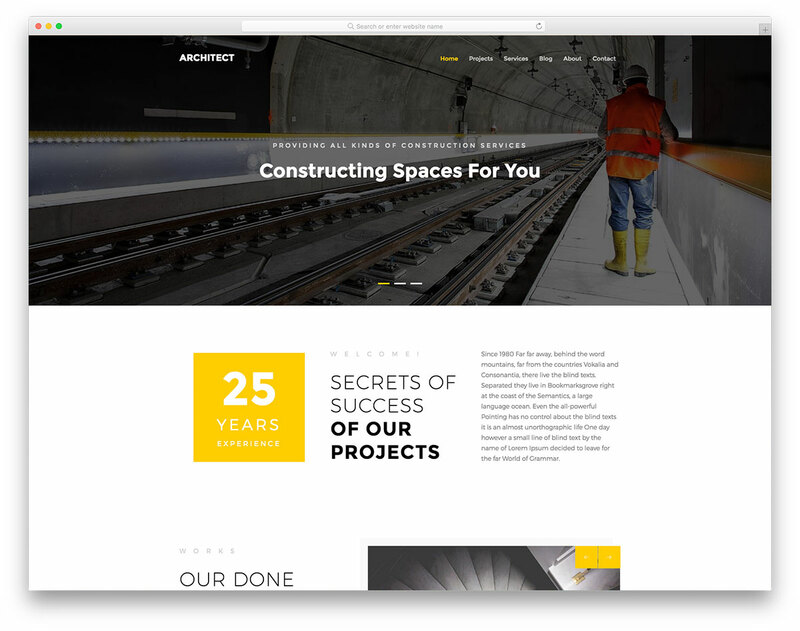 Celt is a clean looking free construction company website template with a flexible nature. Push your services and showcase your completed projects in a persuasive way.